These books come from "real life" experiences of successful strategies and action steps. Now is not the time to take ​your success for granted! Both books are easy to read and packed full of action steps and application. Give them a read, apply the principles, strategies and action steps to accelerate your success. Purchase Both Books and Save! What makes a small business successful? The small business OWNER – you. Not just what you do, but the person you are. Standards are one thing, but having a core belief in seeking authentic excellence in everything you do, say and produce can mean the difference between getting by and flying high with a successful, fulfilling and financially profitable business. Sometimes people are successful but not using ALL of their potential. Building to Excellence reveals how to develop awareness and strategies to grow personally to be the best at everything you do – to strive to achieve excellence. Excellence is going as far as you can with what you have and is a major factor in consistently finding success. 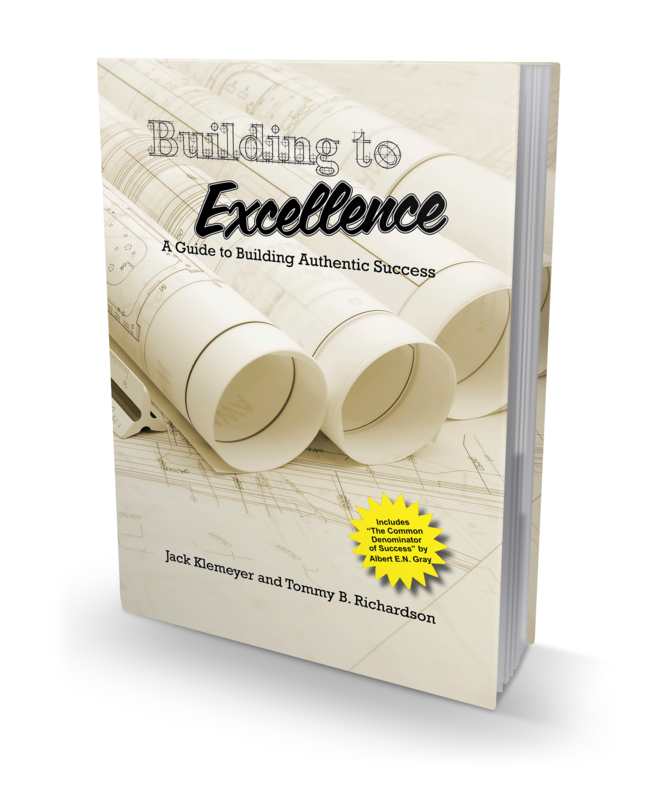 Building to Excellence is the definitive Guide to Building Authentic Success in every aspect of your life. Filled with practical and immediately implementable ideas and systems, you won’t turn a page without being inspired to change your mindset, your habits and your future. This book will be one you return to time and time again until it is worn and dog-earred. If you were doing something wrong... how soon would you want to know about it? When you are networking to grow your client list and business, you CANNOT afford to just leave it to chance. 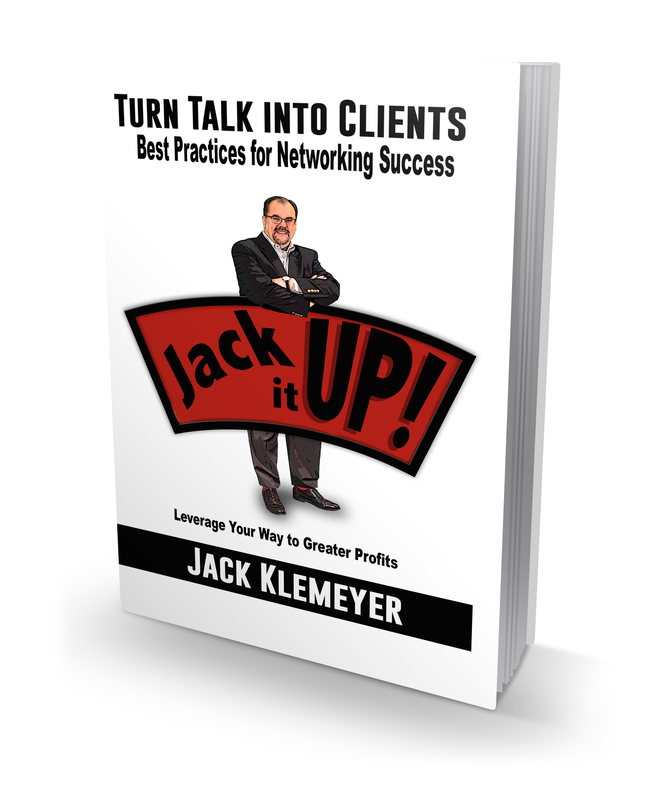 Business Coach Jack Klemeyer provides you with step-by-step instructions to quit just socializing and apply a strategic approach to networking. This is an approach that is guaranteed to make a huge difference in not only how you network, but in the results you get for your business.